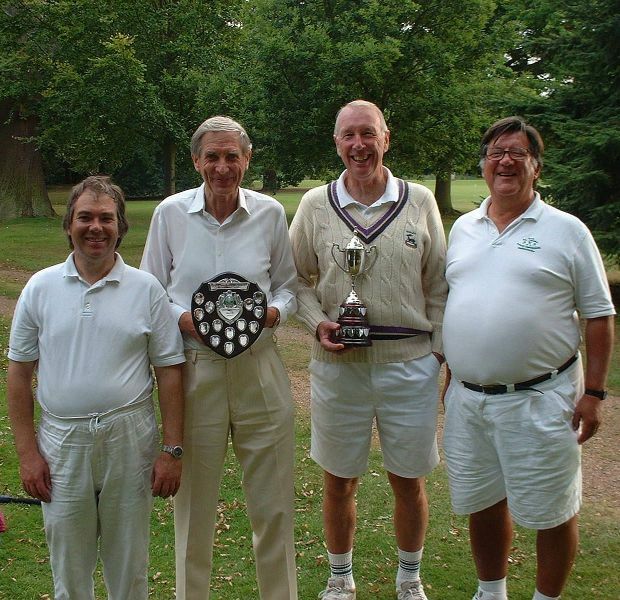 Watford are the defending champions of the Beds & Herts League from 2006 and 2005, and in both years went on to win the East Anglian Croquet Federation League trophy as well. Watford win the Beds & Herts League for 2007. Watford become the EACF League Champions for 2007, the third consecutive year. Three doubles matches were played in the morning and the Watford first pair of Ian Parkinson and Mark Homan got off to a good start against Terrey Sparks and Neil Chalmers when Mark went around to rover on the seventh turn. Shortly afterwards Ian progressed to penultimate but they stayed for a long time at this score whilst the Norwich pair managed to get a start. However, this was only a postponement of Watford's win. Both the other doubles matches became battles of attrition both going to time, but at the lunch interval Watford had notched up two wins and Colchester South one. The six singles matches proceeded at a better pace, all finishing within time. The most interesting of these was between Jonathan Hills of Colchester playing off scratch and Ian Parkinson who was receiving two bisques. Ian managed to get the first break and went to peg arguing that this gave him the best chance. After some in and out play during which Ian used one of his bisques Jonathan got a break going and duly pegged out Ian's forward ball. To the surprise of some spectators Jonathan decided to peg out his own with both the other balls for hoop 3 and one bisque standing. The resulting two ball game started to go Ian's way when he used his remaining bisque and he eventually ran out the winner. Whether the result might have been different if Jonathan had decided to play a three ball game we shall never know but it is a fine judgement as to whether depriving yourself of the third ball is worth it in order to devalue the standing bisque. It soon became clear that the result rested between Watford and Colchester South but the Watford win described above eventually sealed Watford's victory. Norwich did not have the best of days but their least experienced player, Dan Neale, recorded a Norwich win in the last match to finish thus avoiding a duck for the team. Watford ran out comfortable winners in the end winning five games to Colchester's three. 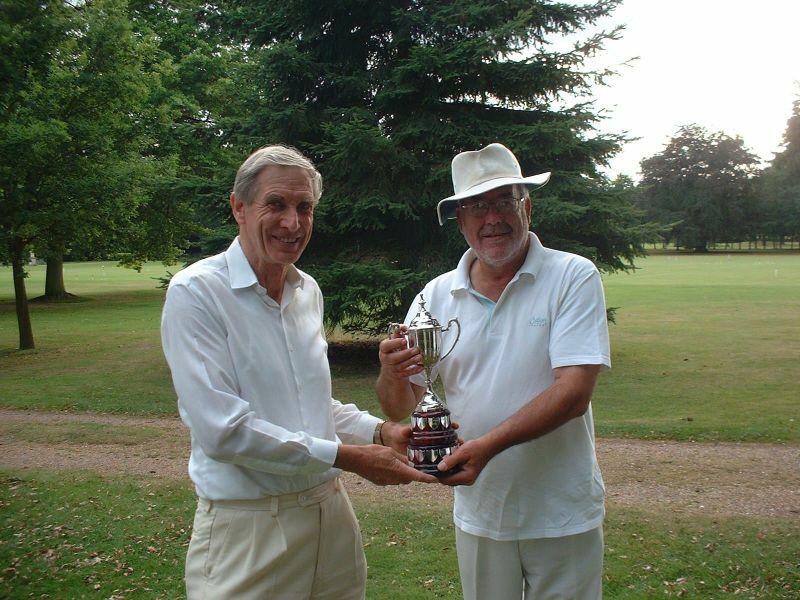 EACF Secretary Terrey Sparks warmly thanked Wrest Park for their hospitality and presented the Chairman's Cup to Watford's captain Arthur Reed. shield and the EACF League Champions trophy. See also: Directions and contact details for clubs in the East Anglian region.